For as long as we’ve been keeping records, Australians have been menaced by intense storms. The size, shape, and location of the Australian continent is partially to blame, as it provides the perfect spawning ground for cyclones, severe thunderstorms, tornadoes, and even super-cells. However, while storm activity has remained fairly constant throughout Australia’s past, there is evidence to suggest that as world climates are more and more impacted by human activity, Australia’s storms are likely to grow stronger and more frequent in the years to come. Thunderstorms are formed when warmer air and moisture, found at lower altitudes, is overtaken by cooler air in the upper atmosphere. This results in an updraft, as the warm, humid air surges upward through the cooler air around it. As the air pushes higher and higher, the moisture begins to freeze into ice crystals. The movement of the ice, water, and soil particles through the surging interior of the storm cloud causes friction, resulting in an electrical charge throughout. In most thunderstorms, the upper portion of the cloud naturally develops a positive charge, while the lower portion of the cloud becomes negatively charged. As voltage between positive and negative portions of the cloud grows, the electrical energy may discharge. When a strong central updraft in a thunderstorm is balanced by an equally strong downdraft from the cooler air on the outside, the updraft may begin to rotate, and turn into a ‘super-cell.’ Super-cell storms may last for several hours, and are considered the most dangerous and destructive form of thunderstorm. Cyclones are formed when heat from ocean waters near the equator causes warm, humid air to rise, creating a spot of low air pressure near the ocean’s surface. High pressure air from surrounding areas rushes to fill the low pressure area. The air is then warmed, causing it to rise, and more air to rush in to replace it, continuing the cycle. The clouds formed from the rising and cooling air begin to spin and grow, as more air is drawn into the developing storm. Finally, the centre of the storm forms a calm ‘eye,’ around which the swirling clouds rotate. Any thunderstorm which produces hail that reaches the ground is known as a hailstorm. Hail forms when thunderstorm updrafts are strong enough to carry water droplets well above the freezing level. This freezing process forms a hailstone, which can grow as additional water freezes onto it. Eventually, the hailstone becomes too heavy for the updrafts to support it and it falls to the ground. Climate change introduces an unstable element to local weather patterns. By altering ocean currents, affecting atmospheric and oceanic circulation patterns, and modifying the hydrological cycle, it creates potentially new and dangerous patterns that we don’t yet understand. What we do understand is that as temperatures increase, so too will the rate of moisture evaporation, both over the ocean as well as on land. Likewise, warmer air is capable of containing more water vapour. This could result in potentially fewer storms that are much larger in magnitude, and significantly more destructive. Given the regularity of storms in Australia, and the likelihood of increased storms in the years and decades to come, it’s important to understand the data associated with Australia’s inclement weather. Thousands of storms and other dangerous weather events occur every year throughout Australia, causing significant damage and even loss of life. 2011 Cyclone Yasi was the most ruinous storm to hit Australia in recorded history, causing an estimated $3.6 billion in damage. Three years later, Cyclone Ita hit Australia with less force, but still caused an estimated $1 billion in damages to the agricultural industry. Severe thunderstorms generally cause less damage individually than cyclones do, but occur with much greater frequency, making them a larger threat overall. Given the regularity of storms in Australia, and the likelihood of increased storms in the years and decades to come, it’s important to understand the data associated with Australia’s inclement weather. 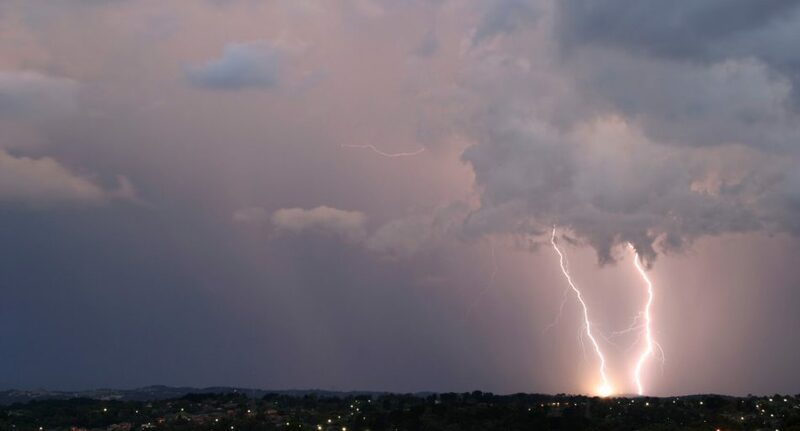 Here are nine interesting facts about Australian storms, as well as some insight into how these facts might help to keep you, your loved ones, and your property safe. 1. Most thunder storms occur during the months of September through March, with the greatest concentration seen during January, at the height of summer. As summer heat begins to beat down upon the continent, the likelihood of severe storms increases. This means that, although storms may occur at any time throughout the year, you should be most prepared to encounter severe storms during the summer. This also indicates that as average temperatures rise, the “Severe Thunderstorm Season” may extend to include months that were previously considered low-threat. 2. Temperatures in Australia are increasing at a higher rate than temperatures in other parts of the world. Climate change is a global problem, but for dry, arid climates that are found throughout much of Australia, the changes that are a part of global warming may be accelerated. Australians may find that they have less time to prepare for storms of increased frequency and intensity as temperatures begin to climb more rapidly. 3. Since 1839, tropical cyclones have caused over 2000 fatalities in Australia. Cyclones are the most dangerous of all of Australia’s storms, having claimed more lives overall than severe thunderstorms. However, cyclones generally only occur in certain parts of Australia, and during a specific time of year. Cyclones are most likely to impact coastlines in northwest Australia between Exmouth and Broome in Western Australia, and in northeast Queensland between Port Douglas and Maryborough. Australia’s cyclone season generally lasts from the beginning of November through the end of April. If you live in an area of high cyclone risk, you can minimise the risk to yourself and your property by preparing your home, yourself, and your family for cyclone season as it approaches. 4. The average annual cost of damages caused by tropical cyclones is estimated at $266 million, accounting for 25% of the total cost of natural disasters in Australia. Of the natural disasters commonly experienced in Australia (droughts, heatwaves, fires, etc. ), cyclones are responsible for approximately ¼ of all damage caused, and are a significant drain on civilian and government resources. Cyclones are a serious threat to those who live in high-risk areas, and they should not be taken lightly. 5. Severe thunderstorms have been responsible for approximately 800 deaths in Australia since 1824. Although thunderstorms may seem benign, they can actually be quite dangerous. Storms can cause flooding, knock over trees and damage houses. When thunderstorms approach, take precautions and seek shelter, and pay attention to any emergency broadcasts that might be going out over the radio or television. 6. Severe storms cause an average of $284 million in damages every year, accounting for 26% of the total cost of natural disasters in Australia. Although cyclones may have claimed more lives, severe thunderstorms and super-cells are slightly more destructive, accounting for a larger portion of the total annual Australian natural disaster costs. This is, in part, due to the fact that while cyclones currently have a very limited danger zone, severe thunderstorms can be found all across the continent, and can occur at anytime throughout the year. This makes them more difficult to predict and to prepare for. 7. Due to climate change, a larger portion of Australia may become exposed to regular cyclones. Experts are predicting that changes in world climate may result in cyclones affecting a much larger portion of Australia than they normally do. This means that those who live along or near the coast should take the time to plan for the possibility of having to experience a cyclone first hand, even if they are not living in what is currently considered a high-risk area. 8. On average, a severe thunderstorm can produce approximately 6,000 lightning strikes every minute. Lighting strikes account for five to ten deaths every year in Australia, and are responsible for over 100 non-fatal injuries annually. If you find yourself out in the open during a thunderstorm and are unable to locate shelter (don’t ever shelter under tall trees) crouch down with your head between your knees, and make yourself as small as possible while you wait for the storm to pass. Stay away from metal objects and water, as these may draw lightning towards them. If you can get into a car, you’ll be much safer, as a car’s rubber tyres act as insulators, and the car’s metal frame (although it may seem dangerous), will actually give the lightning a clear path down into the ground without going through you. Prepare an emergency survival kit. By having emergency supplies on hand in the event of a severe thunderstorm or cyclone, you can help keep everyone in your family safe and happy until the danger passes. ● Clear loose materials from around your home. One of the major dangers associated with cyclones and severe thunderstorms is debris. Anything that could be lifted and thrown by strong winds could be a potential danger in the event of a storm, so take the time to gather up and secure loose objects from the area around your home and in your garden, such as tools, furniture, branches, rocks, and anything else that might be dangerous. ● Have access to a battery-operated radio with fresh batteries. If the storm causes you to lose power, you’ll want to be able to keep up to date on the storm’s progress. This is where a fully-charged radio is important, as it will make it possible to listen to emergency broadcasts even without telephone service. If you have access to a CB radio,that may be even more useful, as it will allow you to contact help if you need it. ● Prepare a list of emergency contact numbers, and keep it in an easy-to-remember place. Emergencies are stressful situations, which makes it all the more difficult to remember telephone numbers. Record and post important emergency numbers, and make sure that every member of your family knows where to find them. ● Be wary of any overhanging trees or branches. It is not uncommon for severe storms to break branches off trees, or to even knock over the trees themselves. If these trees or branches are hanging over your home, they could damage your property as they fall. Branches that hang over power lines are another more significant risk. Local government is responsible for keeping the area around powerlines free of overhanging branches, but if you think that they might have missed something in your area, don’t be afraid to contact local authorities. ● Prepare an emergency survival kit. By having emergency supplies on hand in the event of a severe thunderstorm or cyclone, you can help keep everyone in your family safe and happy until the danger passes. The Australian Emergency Management Institute has provided a resource to help you assemble your emergency kit that can be found at this link. ● Secure all pets and livestock. In emergency situations, we often unintentionally neglect our animals. Pets should be brought inside and kept in safe locations. Livestock should also be secured in pens and in barns, so that they have some shelter from the storm. Sufficient clean food and uncontaminated water should also be set aside, in case this is unavailable following the storm. Any displaced livestock should be located quickly after the storm has passed, and carcasses from livestock killed in the storm should be quickly and properly disposed of. Severe storms can cause damage to vehicles that are left outside. If possible, bring vehicles into garages, otherwise cover the vehicles as best you can, and secure the coverings. Keep clear of windows, glass, pipes and anything metal. Even inside your home, you may still be exposed to danger should strong winds break your window glass, or should lightning strike nearby. ● Listen to the radio for important information and updates regarding the storm. Should evacuation be deemed necessary, this is where you will likely receive your first indication, so pay close attention to any storm-related broadcasts. ● Remain inside in a strong safe place of the house. Inside your home is always the best place to be during a storm. Locate a room with few windows, such as a basement or a toilet, and shelter inside. ● Keep clear of windows, glass, pipes and anything metal. Even inside your home, you may still be exposed to danger should strong winds break your window glass, or should lightning strike nearby. Be aware of these dangers. ● If outdoors, shelter in a car and never under a tree. As mentioned above, lightning is a very real danger during a thunderstorm. Follow lightning safety procedures if you cannot find shelter. ● Listen to the radio for official information and guidance. Even if it seems as though the storm has passed, you should wait for official confirmation before you leave your shelter, as sometimes small breaks in the storm may give the appearance of clearing skies, only to then slip back into storm weather. ● Check your house for damage—if you find it is unstable and unsafe; find a strong part of the house to shelter in. If it seems as though your home has been damaged, you’ll want to access that damage (or hire a professional to do so), so that you know which areas of your home are safe to use. If the damage seems as though it might be dangerous, relocate your family to an undamaged portion of the house until the damage can be repaired. ● Contact your State and Territory Emergency Services if you require urgent assistance and seek help from neighbours and family. If injuries have occurred as a result of the storm, seek assistance quickly. ● Be aware: there could be fallen powerlines, unstable buildings and dangerous branches and trees. When you’re ready to go outside, be careful of any damage or fallen debris that may pose a threat. Electricity can also flow through objects which would commonly be regarded as poor conductors (e.g. trees or machinery). The chances of survival are low for anyone exposed to electricity from powerlines. It’s definitely preferable to have safety practises in place and never need them, than to need them and not have them. Make sure you have a Home and Contents insurance policy if the worst does happen. Storms will always play a role in Australia’s unique climate, but by understanding and preparing for them, these severe storms will be much less likely to cause damage to your property, or injury to yourself or your loved ones. While there may be some inconveniences involved with preparation, it’s definitely preferable to have safety practises in place and never need them, than to need them and not have them. Make sure you have a Home and Contents insurance policy if the worst does happen.